The most beautiful and charming decorations in the winter are those with a natural look. This is a quick and inexpensive door, window or tree decoration. With just a few basic crafting items, you can make one of these for yourself and maybe a couple of others to give as gifts to your friends or relatives. You decide on the size of the star. Made large, it can be seen further away. 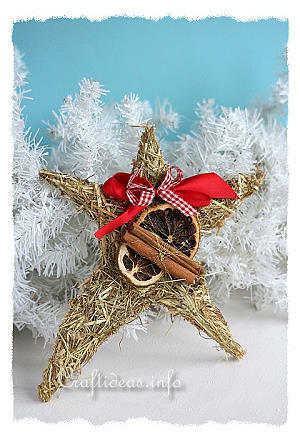 Made small, it can be even used as a tree or window decoration. 1. Cut a star shape out of the cardboard box. 2. Follow the instructions below for making hay decorations. 3. 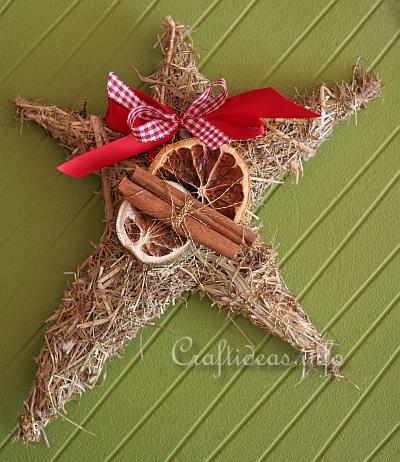 Wrap thin wire around the cinnamon sticks a few times and lay on the orange slice. 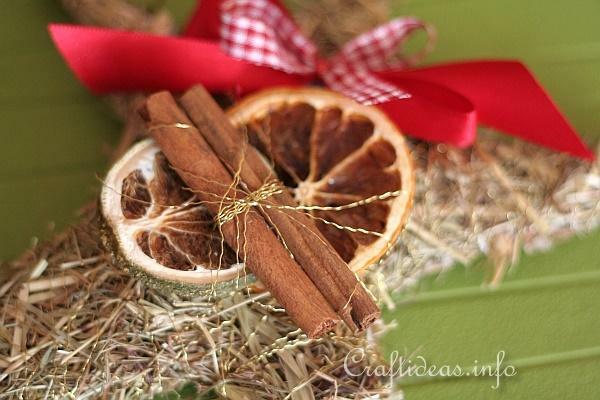 Wrap more wire around the orange slice enclosing the cinnamon sticks and the anise star. 4. 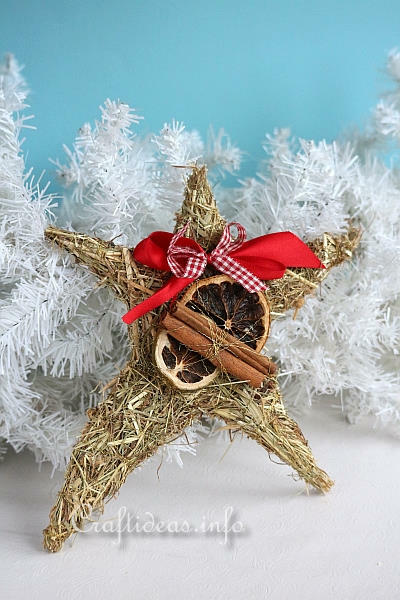 Make a bow and hot glue it to the star. 5. Hot glue the orange decoration over the bow. Cut a piece of gold ribbon long enough for hanging. Hot glue the 2 ends behind the star point at the top.